Hi crafters! 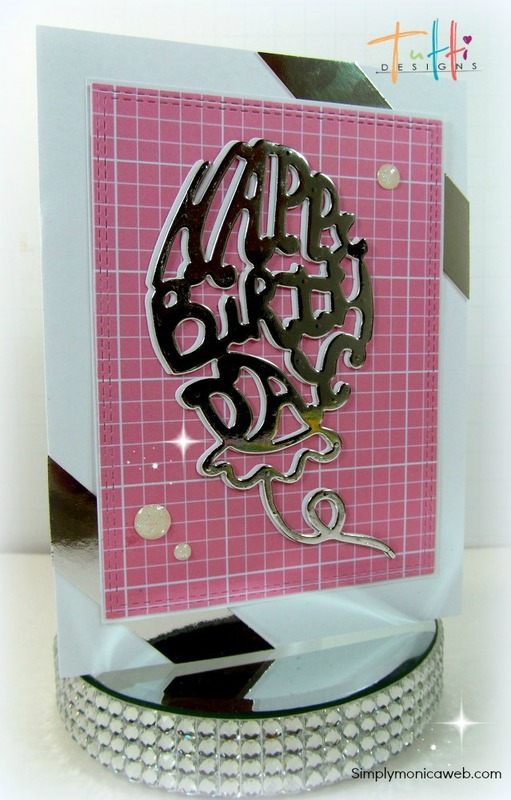 Welcome back to March – the all about Birthday month with Tutti Designs. 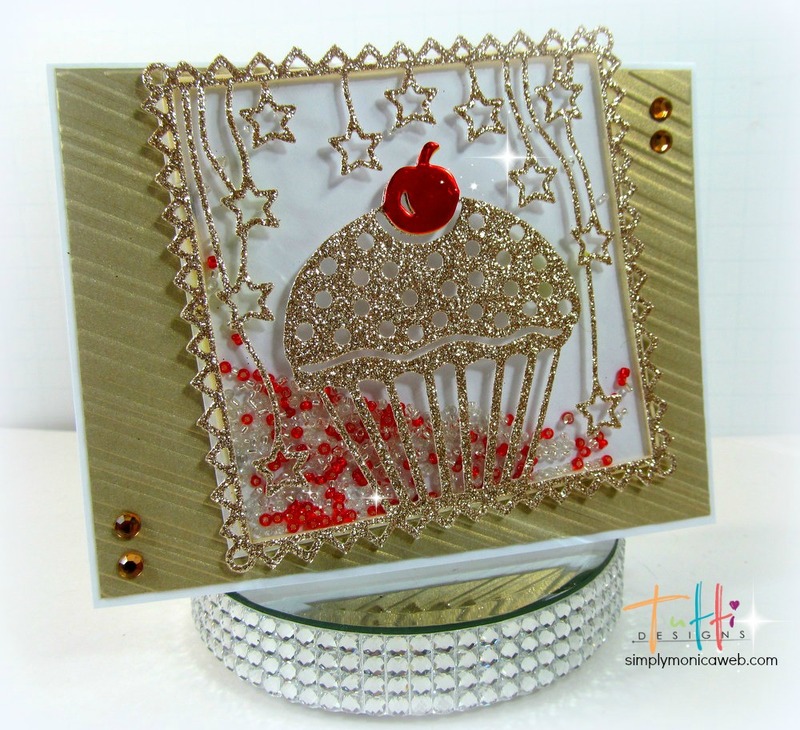 Today I am sharing 2 cards I made using some of the newest releases. This is the TUTTI-293 Happy Birthday Balloon. 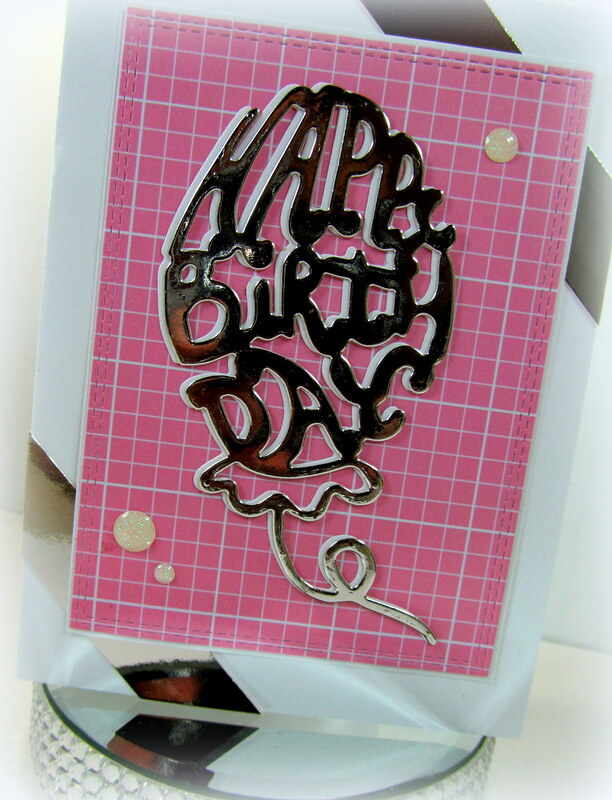 I overlapped some silver mirror paper along with some plain cardstock for the balloon. A closer look of the card. I hope everyone has enjoyed my 2 cards on this gorgeous Saturday morning! Cool cards, Monica! Love the gold/pink and gold/red combos!